I am a native of Jesup, Georgia. After high school, I attended Georgia Southern University where I earned a Bachelors Degree in Business Management and also met my wife. Celeste and I settled on St. Simons Island, Georgia where we started our family. 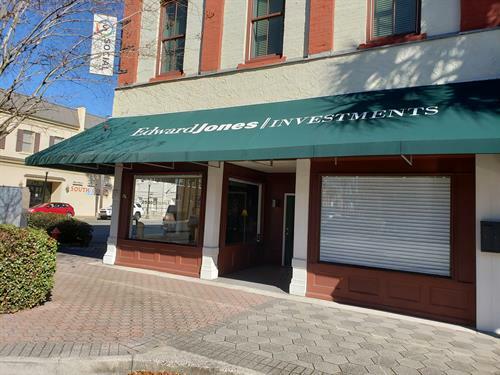 After spending 10 years in the financial services industry, my career with Edward Jones began as a Brunswick, Georgia financial advisor in 2001. I was drawn to Edward Jones by the firm's values of putting client interests first and the high regard Edward Jones holds for associates and their families. After serving in various leadership roles, in 2014 I was asked to become a regional leader where I currently lead 85 branch teams in southern Georgia. Later in 2018 I became a principal with the firm. Training and client care are paramount at Edward Jones. I have been invited over a dozen times to serve as a visiting veteran in financial advisor training classes in our headquarters in St. Louis and our western campus in Tempe, Arizona. I have earned invitations to FA Leaders Conference numerous times due to being ranked in the top 1200 advisors in the firm which currently has over 17,000. I am a member of the Brunswick-Golden Isles Chamber of Commerce and the Golden Isles Rotary, serving as past-president. I also serve on the YMCA Foundation Board as the Governance Chair and I Co-Chair the Golden Isles Walk to End Alzheimer's. Celeste and I have 3 grown children and 4 perfect grandchildren. On the corner of Gloucester Street and Reynolds Street.